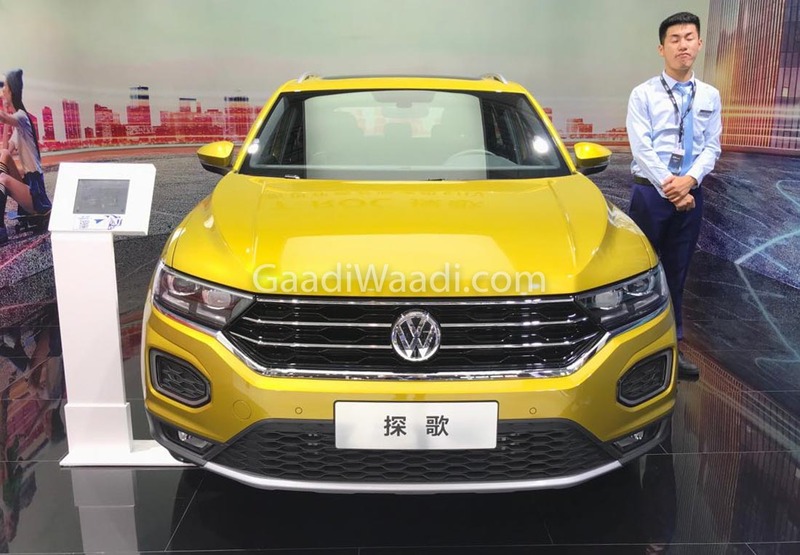 Volkswagen has showcased the T-Roc SUV at the ongoing Chengdu Motor Show 2018. 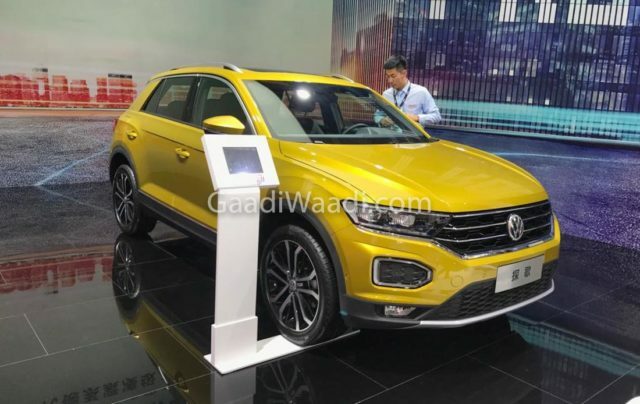 The latest SUV from the automotive giant is based on the company’s MQB platform, which it shares with the latest generation of the Volkswagen Polo. The Volkswagen T-Roc joins models like the Tiguan and the Touareg in VW’s fast-growing SUV line-up. The Volkswagen T-Roc measures 4,234 mm in length and has a wheelbase of 2,063 mm, which makes it almost as long as the Hyundai Creta small SUV. Right now, Volkswagen India has no immediate plans of launching the SUV in India. However, the SUV might be considered for India once the low-cost MQB-A0-IN platform rolls out. The Volkswagen T-Roc is a front wheel drive vehicle that gets all-wheel drive as an option on the top trim. Volkswagen has made all the efforts to make the SUV look youthful and funky. It will be available with contrast paint shade options – the roof and the pillars can be ordered in contrasting shades. The front-end of the car features LED DRLs, sleek headlamp and a trapezoidal grille with twin horizontal slats. In the side profile, it gets dual-tone multi-spoke alloy wheels, roof rails, and a discreet plastic cladding. The rear gets LED taillamps to compliment the lighting system at the front. On the inside, the highlight is a large touchscreen system that comes from the latest generation Volkswagen Polo. The Volkswagen T-Roc gets six engine options to choose from – 3 petrol and 3 diesel. The petrol motors range from 1.0-litre TSI to 2.5-litre TSI. The diesel range starts at 1.6-litre TDI and extends till 2.0-litre TDI. The engine can be mated to a 6-speed manual or a 7-speed DSG automatic transmission. The Volkswagen T-Roc also offers four driving modes on all its engine options – Street, Snow, Off-road, and Off-road Individual. All the variants offer advanced safety features like Driver Alert system, Lane Assist, Front Assist, Pedestrian Monitoring and City Emergency braking.